Also works great on wood, glass of a frame, Ceramic Tiles, Vehicles and more. Not recommended for walls. If you would like this for a wall please advise and I will use the correct vinyl for a wall. The size choices (if any) are in the drop down menu. The decals are sized as OVERALL DIMENSIONS (+/- 0.5"), from the top of the tallest letter to the bottom of lowest letter, and from the farthest point left to right for width. Or in the case of graphics from the tallest point to the lowest point, and left to right for width. 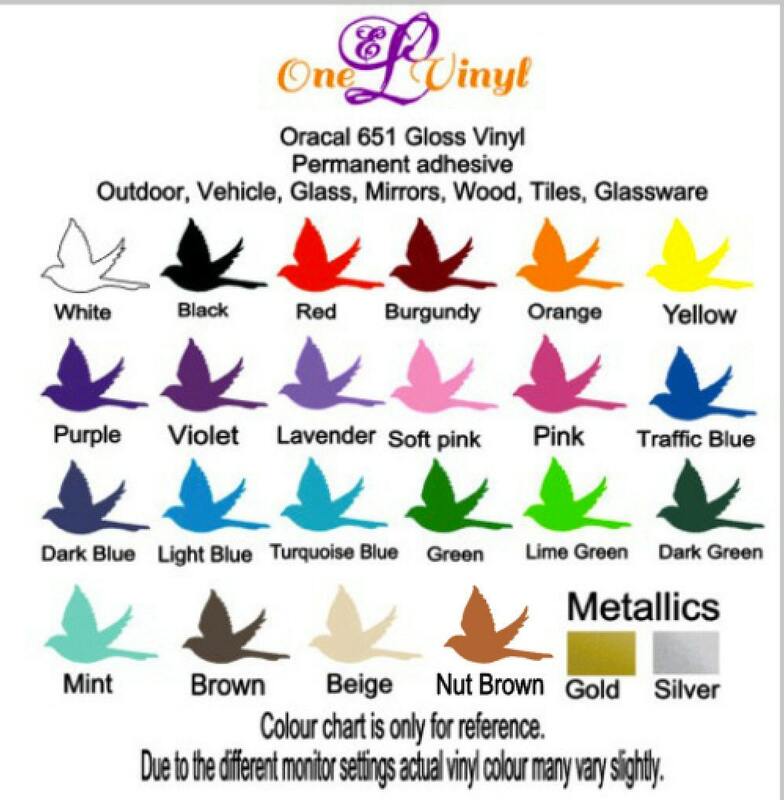 Our decals are precision die-cut on a professional vinyl plotter, using premium quality Oracal vinyl.